Vearlo | Tell someone you love them, EVERYDAY! Vearlo has an app that lets you send and schedule love notes to the people you care about the most. 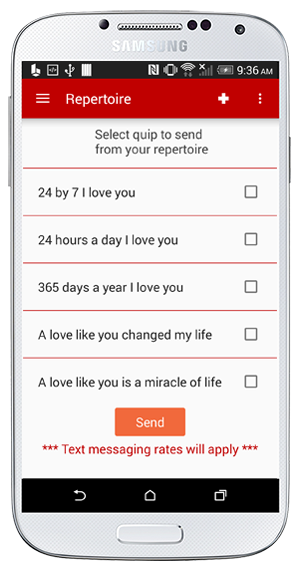 The Love Note Scheduler is a clean, fun, and secure app that you can trust to deliver your love notes to the people you care most about. Vearlo helps you express your love through creative quips. You can choose from our extensive repertoire, or write your own. Say I love you everyday, never forget another anniversary, surprise your loved ones. You can schedule to send quips on your behalf up to a year in advance. Join us as we spread love around the world! Copyright © 2016 Vearlo, LLC. All rights reserved.